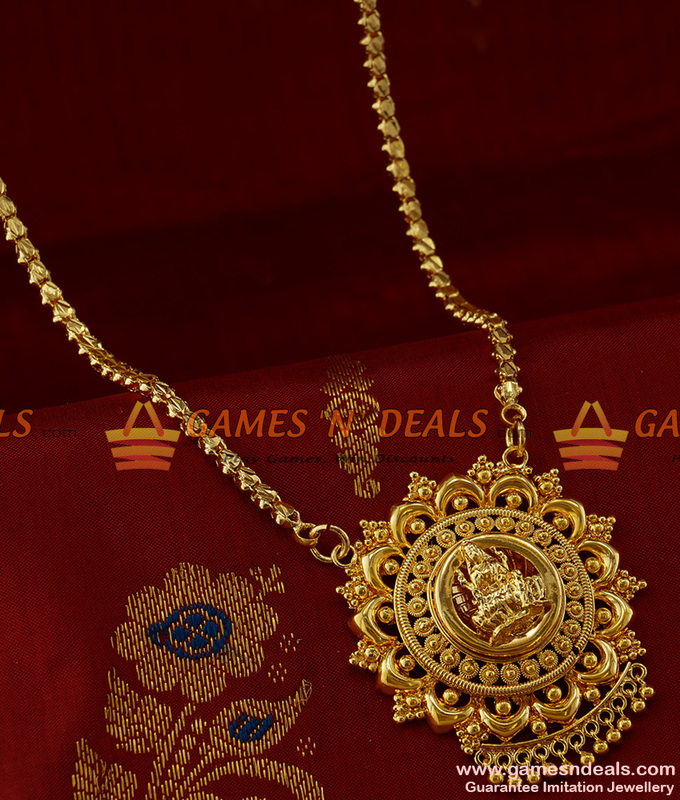 24ct pure micro gold plated Chidambaram Box Chain with Guarantee Lakshmi Dollar Imitation Jewelry - Combined with the big plain traditional Lakshmi dollar and tightly packed box chain, this traditional antique design gives a royal and majestic look. 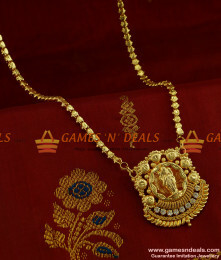 Goddess Lakshmi in the middle of the dollar surrounded by leafs and bead deigns, adds more beauty to the design and imitates just like real gold jewelry. 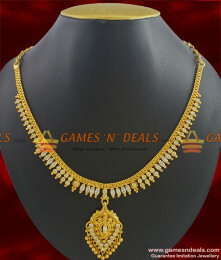 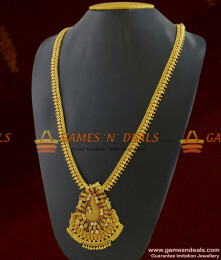 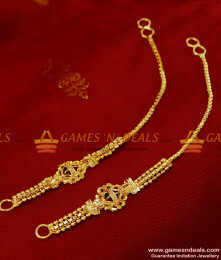 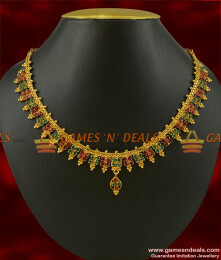 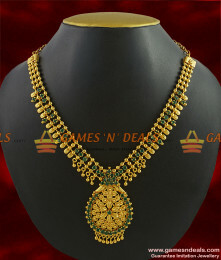 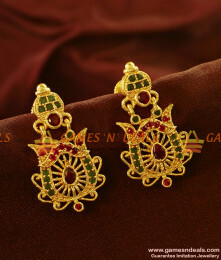 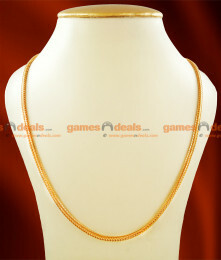 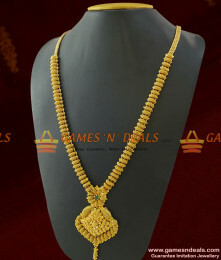 The jewel model comes with a thickness of 4 mm and 24 inch length chain and with imitation Lakshmi dollar. 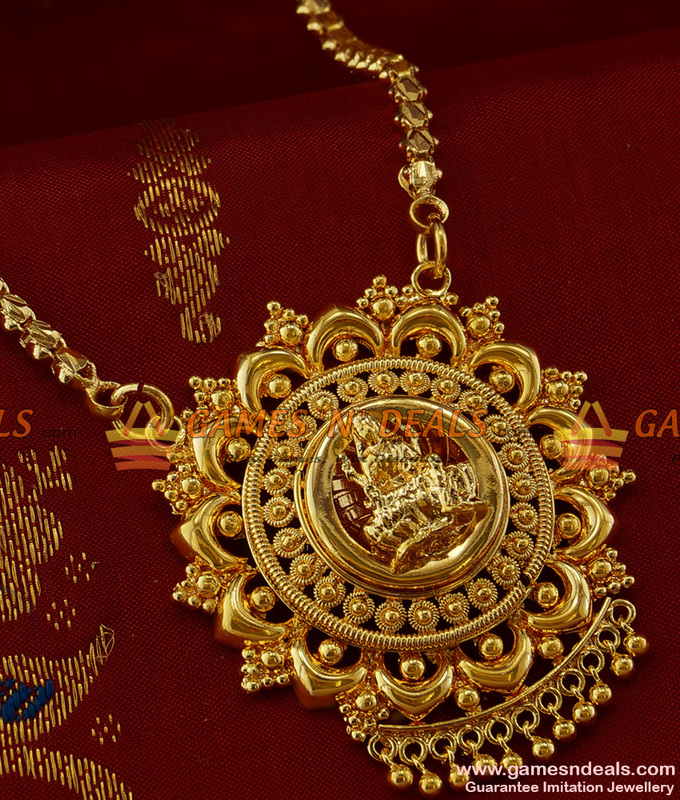 One Gram Chidambaram Gold Plated South Indian Necklace Traditional Haaram Design Imitation Jewelry O..
Chidambaram Gold Covering 24ct Pure South Indian Traditional Best Selling Gold Plated Four Pieces Et..
Chidambaram South Indian 24ct Gold Plated flower design party wear Bangle. 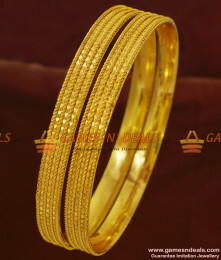 This bangle comes with be..
24ct micro plated Chidambaram Guarantee Imitation Necklace South Indian Jewelry Low price Online - T..
24ct micro plated Chidambaram South Indian Grand Attractive Kerala Type Unique Party Wear Imitatio..
24ct micro plated Chidambaram Handmade Antique Style Semi Precious First Quality Ruby Emerald Stone ..
ER675 - Sparkling First Quality Zircon Stone Imitation EarringJewelry Care :1. 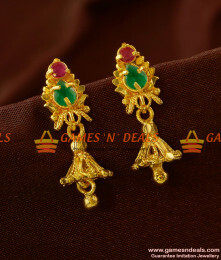 Keep it away from dir..
24 ct Chidambaram Gold Plated Traditional Side Maattal Design Buy Online - Maattal is a chain shaped..
ER571 - Attractive Unique Cubic Zircon Stone Kerala Design Imitation Ear RingsJewelry Care :1. 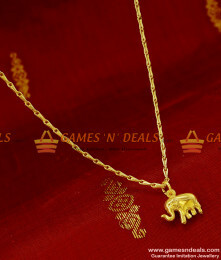 Keep ..
Chidambaram Gold Plated Fancy Elephant Pendant Design Short Chain Imitation Jewelry - This trendy 18..